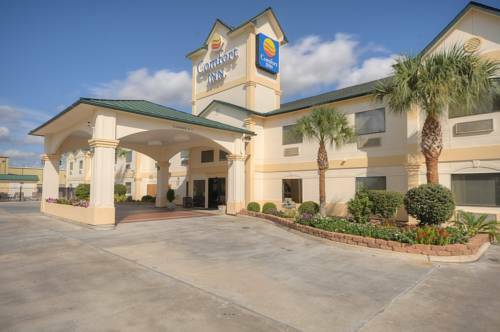 Behind every great day in Houston, TX is a great night at our Comfort Inn East hotel near the Toyota Center. We are close to Minute Maid Park, University of Houston, NRG Stadium and Rice University. Each guest can enjoy our free breakfast, free WiFi, business center, exercise room and free weekday newspaper. Room amenities include coffee makers, microwaves, refrigerators and flat-screen TVs. Start earning rewards points today when you sign up for our Choice Privileges program. *Some amenities may require an additional cost.